What is CBD and Can it Help Migraines? Over the past few years, medical marijuana has been touted as a miracle cure for any number of healthcare conditions, sparking the interest of the migraine community in using it for relief. While it’s not considered a miracle cure exactly, a new category of products based on cannabidoil have been shown to have benefits for a wide range of medical conditions. Cannabidoil or CBD is a compound derived from high-CBD content hemp. It contains a much lower concentration of tetrahydrocannabinol or THC, the main mind-altering ingredient in cannabis. While both CBD and THC have been shown to have positive effects on migraine attacks, CBD products are non-psychoactive and therefore a safer, less controversial therapy for patients. 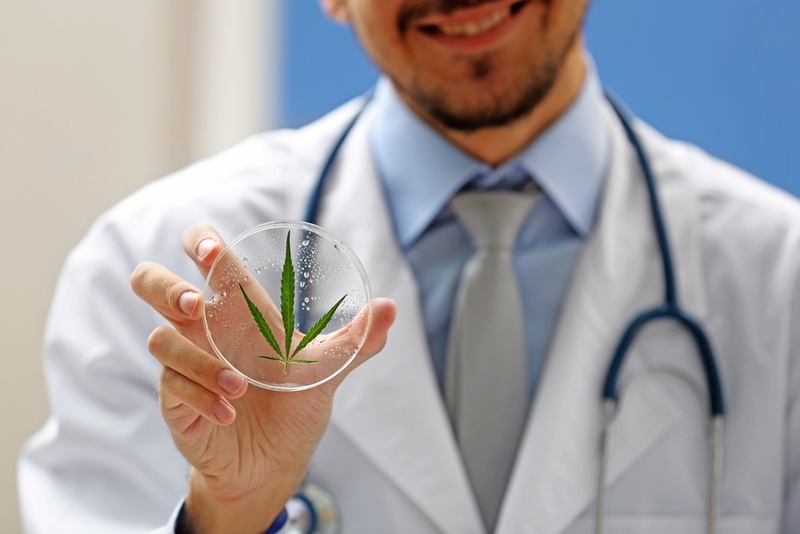 Evidence shows the use of CBD is safe even at high doses, and various academic institutions are researching its value in treating or preventing cancer. It stands to reason, therefore, that some patients are likely to have tried and testing CBD to find relief from migraines. And while the value of using it may not yet be proven through clinical studies, enough anecdotal evidence gained from surveys exists that shows it has some effect. The findings of a study conducted at two medical marijuana specialty clinics in Colorado were published in the Pharmacotherapy Journal in May 2016. A group of 121 regular migraine patients used medical marijuana daily between 2010 and 2014, and found their migraine frequency dropped from 10.4 headaches each month to 4.6. They used the marijuana in various forms and found inhaling it at the start of an attack helped to abort the headache. Edible forms caused more negative side effects than other forms. In another study, a California-based medical cannabis industry company called Care By Design surveyed 2,495 patients who used medical marijuana for more than 30 days over a six-month period between March and August of 2015. The purpose of the survey was to understand how patients use on medical marijuana rich in the molecule cannabidiol (CBD) specifically. A total of 621 respondents met the criteria to be included in the survey. Results of this showed 100 percent of participants with migraines experienced a decrease in pain or discomfort. Only 50 percent of patients with other conditions reported improvements, however, which indicates CBD is particularly effective for migraine headache attacks. The use of CBD works to reduce the frequency and intensity of migraine attacks because it has an effect on serotonin in the patient’s central nervous system. Serotonin is an important chemical neurotransmitter in the human body. Scientists believe serotonin affects patients' moods, their social behavior, digestive issues including appetite, sleep, memory, and even the ability to experience sexual desire and function. Serotonin is also viewed by some as the chemical responsible for balancing moods, and a serotonin deficit is widely accepted as being a cause of depression. Many anti-depressants make use of selective serotonin reuptake inhibitors (SSRIs) to help boost the serotonin levels and avoid depression. Cannabinoids affect the way the serotonin transport system works, by slowing down the quantities lost under normal circumstances. The higher the levels of serotonin present, the lower the risk of depression and conditions related to it such as migraine. CBD acts on serotonin levels impacting depression, which is a known migraine trigger. Even though conclusive research isn't yet available to prove CBD helps migraines, informal studies show 100 percent success when it's used by migraine patients. Some formats show better results than others, such as daily CBD ingestion for preventing migraines and inhaling it to abort a migraine onset. If you're struggling to find relief from regular, painful migraines, speak with your migraine doctor to determine whether using CBD could be a viable option for you.